So made some progress last night on my three new crew boxes I'll be adding to my Neverborn from yesteryears. Zoraida, new Lilith, and Pandora boxes are assembled, as well as Miss Ery, Tuco, and Black Blood Shaman. Need to just assemble one of the regular plastic teddies. Some notes on assembly of these crew boxes. First of all, the plastic models are absolutely amazing sculpts, no argument there. Out of the three I recently assembled though, I was surprised that the newest one (Zoraida) was so complex. Some of the decisions on where to split the model just seemed weird, but I'm not a sculptor/modeler so take that for what its worth. Each silurid had a separate tongue which wasn't terribly difficult to deal with but was something to take care of. 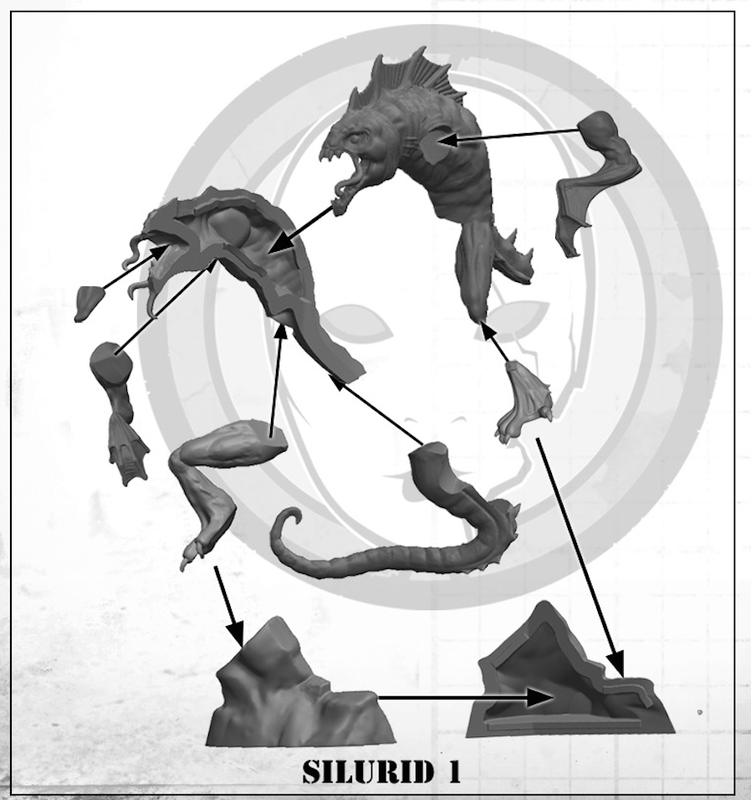 Also the silurid standing on the rock had a very thin left leg making it a challenge to get it to stand nicely. Now I love the pose, so maybe the frustration was worth it. So my main complaint with this box is that a lot of the key contact points (legs/arms) really could have benefited from more notched joins. Its just odd that some had them while others did not. Overall, though I am quite happy with all of these boxes and really can't say they were that difficult. The Bad Juju model is stunning and is the main reason I bought the box, but know I'll get a lot of good use out of Silurids in the upcoming year. Zoraida herself was interesting, her dress is similar to the female Illuminated model. She goes together pretty easily, but all of her voodoo dolls (while cool) took extra time to get put on the model. Speaking of, the actual voodoo doll model has some super thing plastic areas which look like they will probably break off with excessive use. For now I am awaiting on the Secret Weapon Blasted Wetlands bases to arrive. I am doing these three boxes on these wetlands and Lucius is based on DragonForge Lost Empires already. I forget what Lynch is on since he has been built and based for over a year and a half. 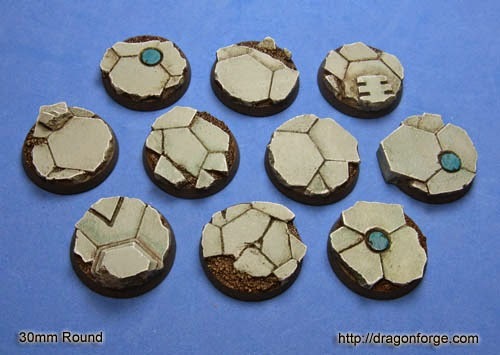 Thanks to some friends on Google Hangouts who pointed me to the actual secret weapon video showing ideas on making getting the bases all water-effect fancy. 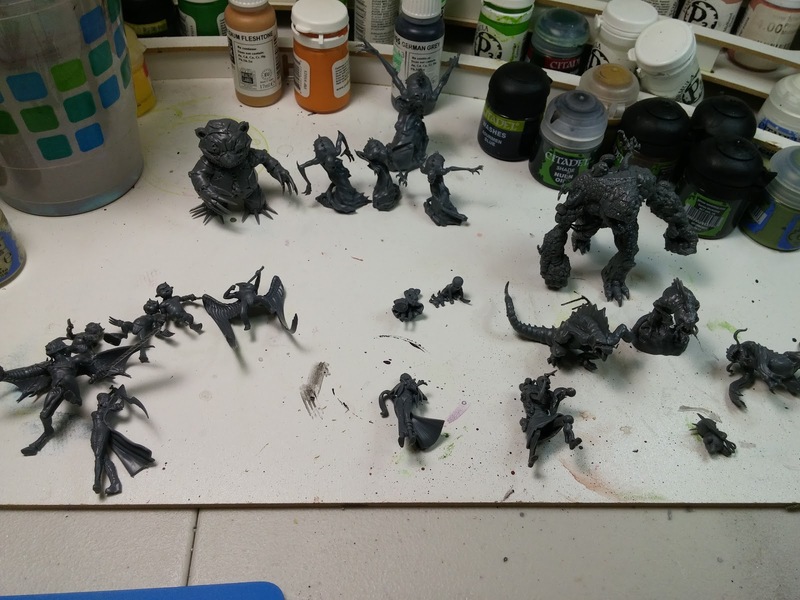 So looks like I have a lot of work ahead of me, but I think this is a good challenge for me in the hobby area, since its something I've never done before. 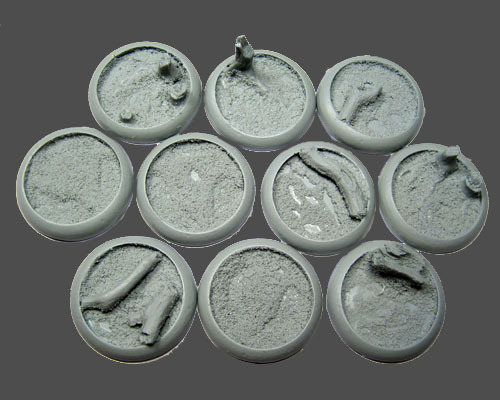 I have most of the materials already just need to track down some water effects liquid from the hobby store.